Casual tournament for players who are relatively new to competitive pinball, and who want an introduction and preliminary competitive experience. Tournament is restricted to players with an IFPA ranking that is not in the top 2000 and have a Matchplay.events lower bound rating of less than 1400. Check out your eligibility in this Player Search (http://pinballstats.info/search/). Any player who has never played in a ranked tournament is automatically eligible and encouraged to play. This is the ideal first tournament for you! 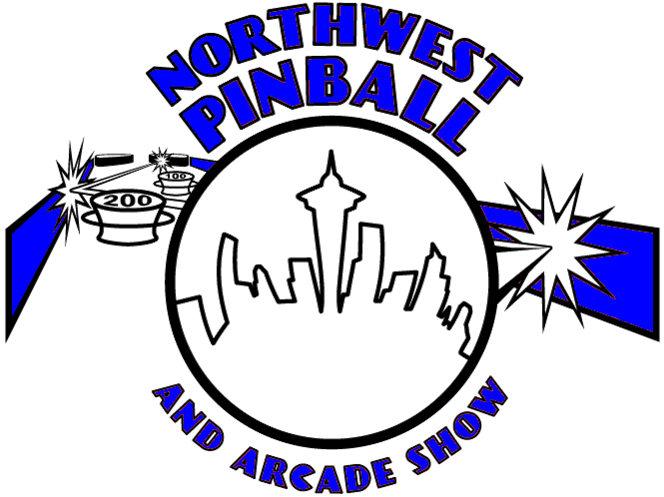 Check the Monday Night Pinball / NWPAS Player Search page to determine if you're eligible for this tournament, or for winning the guarantee rookie/amateur prize at one of the NWPAS Satellite Tournaments. Note that this data is updated approximately monthly, and for purposes of satellite tournaments and this tournament, the data frozen at the time of the tournament will be in effect. Updates are expected approximately March 26th, May 1st and June 1st.  Registration opens Sunday 9:00am, closes 9:45am, or if round fills up.  Entry fee is $10.  This is a 5-Round Match Play Qualifier, with top 4 players getting a Bye into Semi Finals, and 5th thru 12th qualifying for Quarter Finals.  At the start of each round, matches will be shown on the display and on Matchplay.events website. Go to machine when round is called, and begin when all players are present.  Order of play each game is as shown by the software.  Quarter Finals will be a 1-game round with two groups of four players.  1st and 2nd place in each Quarter Final group move on to Semi-Finals. Players who finish 3rd are tied for 9th-10th; players who finish 4th are tied for 11th-12th.  Top 4 players who received a bye, and four players winning quarter finals, form two groups of four players and play a 1-game Semi Finals.  Top 2 in each Semi-Finals group move on to Finals. Players who finish 3rd are awarded tie for 5th-6th; players finishing 4th are awarded tie for 7th-8th.  Final 4 players play a 1-game final, with order of finish in the game establishing top 4 positions for this tournament. Plaques for top 3 finishers. Cash for top 12 finishers. Player Eligibility: It is not practical to verify IFPA Ranking or Match Play rating of every player at time of sign-up. Each player is responsible for knowing their own ranking and rating before signing up, using the links provided above. Eligibility of any player qualifying for top 12, however, will be verified prior to playoff round. If a player is ineligible, they will be disqualified at that time, and will forfeit any prize money. Prior to the end of qualifying, if it is brought to the attention of tournament officials that a player who is playing is not eligible, then that player's ranking and rating will be verified by a tournament official at that time. That player will be disqualified from playing any subsequent games; if in middle of game, they complete that game. Any games already played by such a player will have results stand as-is. If opponents are concerned one of the players in their group is not eligible, they should verify and bring it up to the officials before their game begins.